The Film and Water Podcast pays homage to 007. I was honored to be a guest, along with John Trumbull of the Atomic Junk Shop. We had a good time recalling our favorite Moore 007 films and moments and took a look at other parts of his career, as well. Join us for a listen here. I think you’ll dig it. 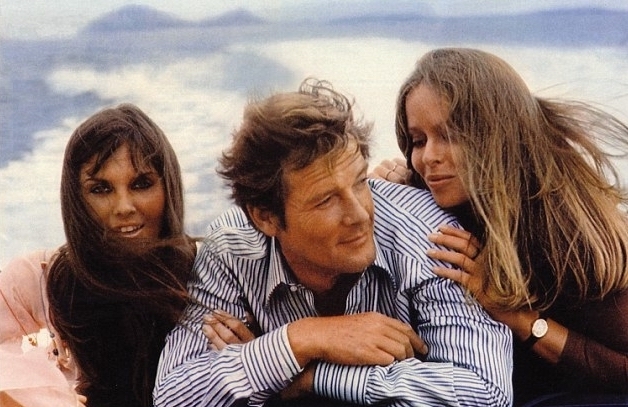 Caroline Munro, Moore, Barbara Bach on the set of The Spy Who Loved Me. 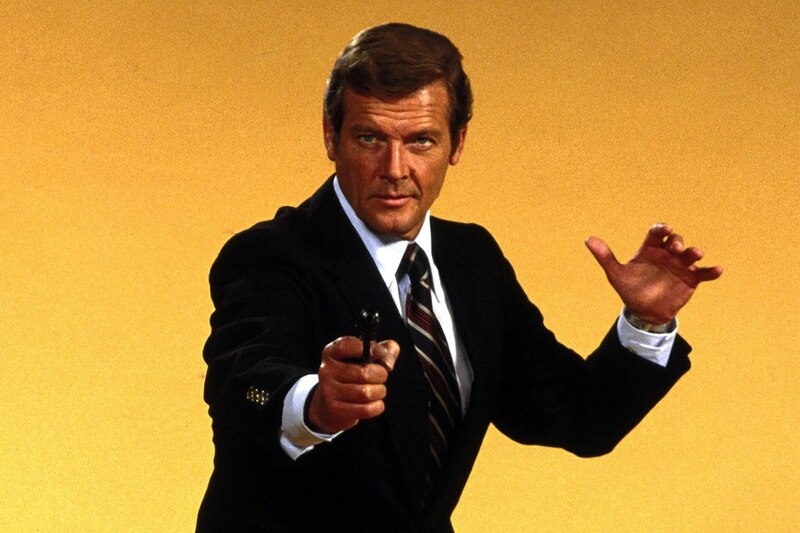 For 13 Great ROGER MOORE 007 Posters From Around the World, click here. For Rob’s REEL RETRO CINEMA column on For Your Eyes Only, click here. I said it over there on the Fire and Water site, but you guess put together a great, warm, loving tribute to Sir Roger. Fun and touching.